Where Transportation Is Our Main Focus! » New NJT Nabi spottings ! » The New Hybrids Vs. The old ones. » The New R160 Trains? MTA buses have been getting alot of crappy treatment lately and to add to it, now the buses are no longer painted. They will be painted with white and then taped with the MTA blue stripe. I feel this is terrible treatment. Do you? Has anyone been on this model yet? The New Orion NG Buses are Being delivered at a fast rate. If you could pick the yards to get these buses what would you pick. The yards and their intials are listed below. MTA now only getting 40 new MCI's 2210-2250 ! Word has it the order has been reduced to 40 instead of 59 . Not known if NJT may take more of them. 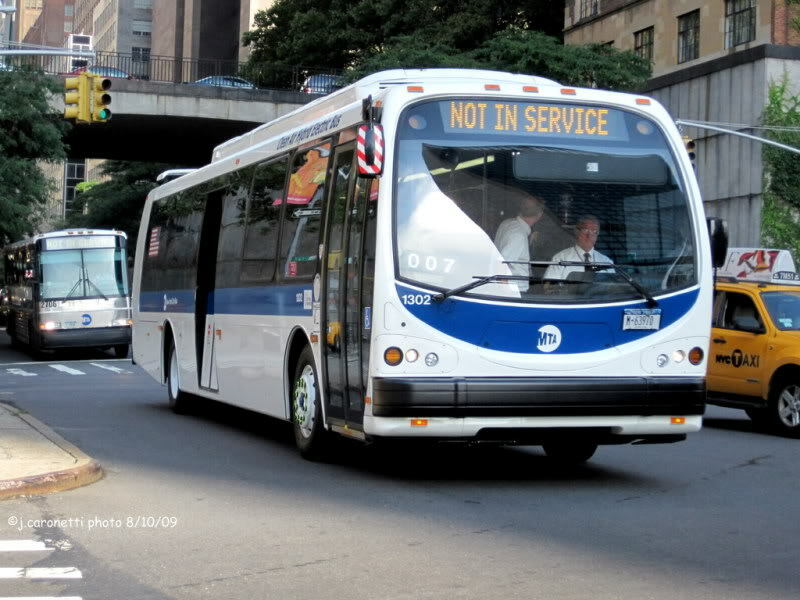 MTA Buys New Articulated Buses! PLATTSBURGH — Nova Bus has received a large order for transit buses from the Metropolitan Transit Authority in New York City. 2009 Orion Next Generation 7.501 Bus 4012 in an accident! Was told today that 2009 Orion Next Genertaion 7.501 Bus 4012 was involved in a fairly serious accident this morning while operating on the S42 route. The Bus was turning right onto slosson terrace, when bus bottomed out on turn and was then rear ended by another bus operating on the S48 1999 Oiron V 5.501 Bus # 6188. That is not good! 2008 Motor Coach Industries Bus 2211 and 2212 has been seen in service!